Yesterday, for reasons passing understanding, the BBC announced they were axing The Hour. Heavens no, we all cried. Usually I’m pretty relaxed about TV shows I watch being cancelled. Not this time. Oh, no. With a downturn in scripted television a result of the ascension of reality TV, it has become even tougher to come across original, quality programming. Of all the networks, the BBC has the greatest responsibility to provide quality. And maybe, every now and again, that doesn’t necessarily just mean bonnets. 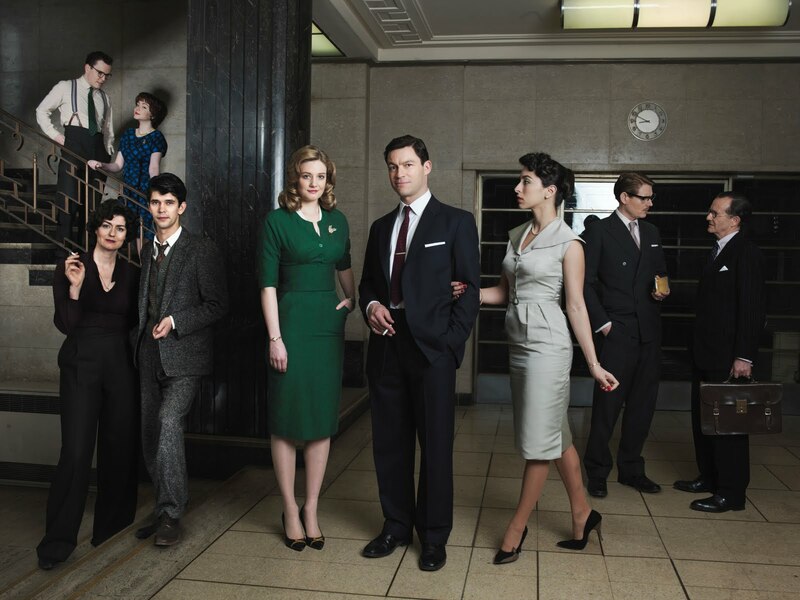 The Hour was the standout show of 2012 for me. Anyone who’s talked TV with me since I discovered it will vouch that I persistently recommend The Hour at any opportunity. With none of the dried-up soapy-ness of Downton’s more recent episodes and a refreshed approach to period drama, every episode of The Hour was captivating. The costumes and sets were suitably seductive, showcasing iconic fifties fashion, and the actors proved an impressive ensemble. Along with the beautifully detailed aesthetics, though, came a depth of storytelling that filled the series with thrills. Not relying on its superficial strengths, The Hour consistently avoided shallow storytelling or melodrama. Nope. The writing, the visuals and the acting were a clean sweep of class. What I loved was that it was not a procedural drama. Every week there were new twists to the plot that underpinned the series, tying the arc together and never allowing a storyline to turn stale. Characters were artfully defined, always distinct and always relevant. No one was surplus, and the audience’s perception of every character was always evolving. Oh, Hector, you’ve come so far. The number one reason why I’m so troubled by its premature cancellation is that it was so very undeserved. The quality was steadily improving. In fact, while I love the show as a whole, the second series was about twenty times as good as the first. Just think of the possibilities for the third series! I have every confidence that the storylines would have divulged whole new facets to these now beloved characters. In Year 2, characters I wasn’t mad keen on at the beginning suddenly became far more complex than I had anticipated and we were introduced to Randall Brown, maybe the best of all. It is a true tragedy that we’ll only ever get one series of Peter Capaldi’s turn as the quietly brilliant but melancholic head of news. Toby Ziegler-esque, no? Not only was Series Two a triumph, the finale was one of the best I’ve ever seen. Ben Whishaw was un-bloody-believable. How dare he shatter my heart like that. Oh, the tears I’ve cried. The two most moving scenes must be singled out: Randall’s breakdown upon learning that his daughter had long since died and Freddie’s bloody, teary final moments. Final moments of the episode, that is. Not his life. He’s not dead. No way. Nope. Don’t you dare. I hope BBC Two can live with itself. That’s all I’m saying. Note: you can sign the petition to #savethehour by clicking here. Hey, can I talk to you about something? I was just umm… I’m in love with The Office. I’m really sorry if that’s weird for you to hear, but I needed you to… hear it. Probably not good timing (since it’s ending), I just… I just needed you to know. Once. Watching this week’s episode, what I’ve known for months finally hit me: The Office is ending. ‘Next episode’ is soon going to stop being a thing. That’s fine. Good, even. It’s been making a steady descent for some time now. And I’ll still have Parks and Rec (or else I really will burn Utica to the ground, and that’ll be on you NBC!). But the past few episodes have captivated me in the way that the show did in its prime. My indifference has subsided and my investment revived. The performances from Jenna and John, most especially, have been out-freaking-standing. Mostly, I’m glad I can properly enjoy the farewell season because it’s been a good’un. It’s taken some risks. There have been times since Jim and Pam got together when I feel like they haven’t been brave enough. This season, though, it’s like a head-on collision into the unknown: change, upheaval and, dare I say, career advancement OooOOOHOOoooh. Could it be? Could it be? EXCITING. Also, congrats to the writers for making me do a total U-turn on Erin this season and finally invest in a romantic storyline that isn’t Jim and Pam. I love Pete. Pete’s great (pretty). Pete’s funny (pretty). Pete’s good for Erin (also pretty). I’m sorry but the easiest way to win me over is to say the words, “I just want you to be happy.” Yes. Good. Important. Introducing new characters hasn’t always been this show’s strong suit (I’m usually just crying out for more Krasinski), but this season they’ve written Pete and Nellie, in particular, excellently. It’s crazy to think that it’s been nine seasons. It was that number that really hit me hard: nine. Nine years. I was 11. I would have just been starting high school. Now I’m a proper adult (I have a house key an’ everything!!!!). Gawd. It’s actually half my life almost. I didn’t get into it until much, much later but it still freaks me out. I mean, THE WEST WING WAS ON THE AIR WHEN THIS SHOW PREMIERED. And The West Wing is proper classic NBC. Remember when there was lots of quality scripted television? Not bitter. I’m suddenly hit by the urge to cling tightly to the leg of this show just as it starts to walk away. With a shared love for Jim Halpert, I’ve met some fantastic people through the magical world of social networking. I guess now I’ll have to find another way to make friends. Blackmail maybe? I don’t know. Wish me luck. Put simply, I’m just glad to be sad. I was so worried that I was kind of already done. I think all it was really was I had high hopes that I never expected this final season would live up to. But it has. Work Bus will go down, in my mind, as one of the comedy greats of the series while Customer Loyalty, Vandalism and Couples Discount have made me impatient for more. It’s made me want to talk about the characters again, and indulge in classic Office on quiet afternoons, and engage with the actors’ Twitters like a fully-fledged fangirl. It really is going to be the fondest of farewells. This is going to hurt like a motherf*cker.